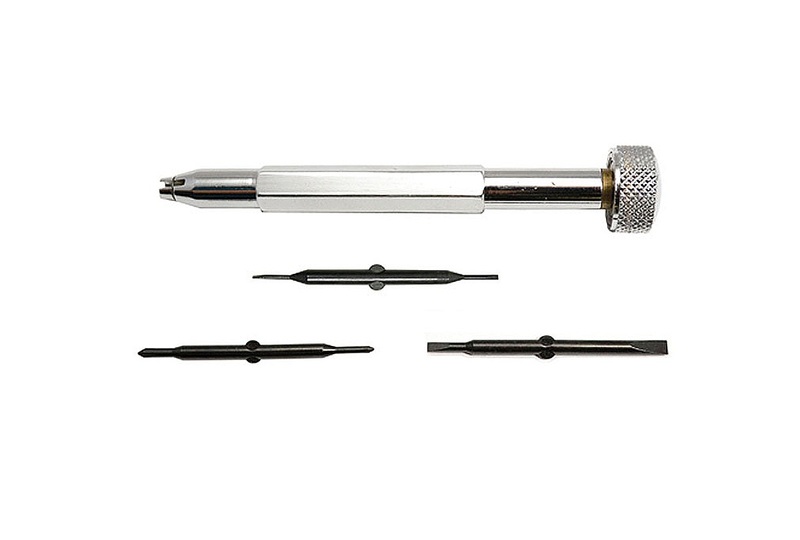 Ball Bearing Screwdriver With 3 Reversible Blades | QTE North America, Inc. | QTE North America, Inc. The swiveling ball bearing top allows for maximum control and comfort in the palm of your hand. Use our Rimless Wrench eyeglass nut drivers, or any reversible screwdriver blades with 3mm shanks, with this ball bearing screwdriver.